By now you’ve heard that the US is being subjected to a government shutdown due to an inability to settle on a compromise regarding President Trump’s desire to build a border wall with Mexico, and all Americans are feeling the effects — especially furloughed federal workers. But American citizens (and their national parks) aren’t the only ones affected by the shutdown; anyone traveling to, through, or from the US will witness just what a government shutdown looks like upon arrival to the airport. Due to a lack of pay, TSA security workers are going on strike by “calling in sick” and staying home from work since they won’t receive a paycheck while the government is shuttered. A shortage of TSA workers means chaos in the form of long lines and unpredictable travel hold-ups. Of course, in this day and age, there’s an app for that. 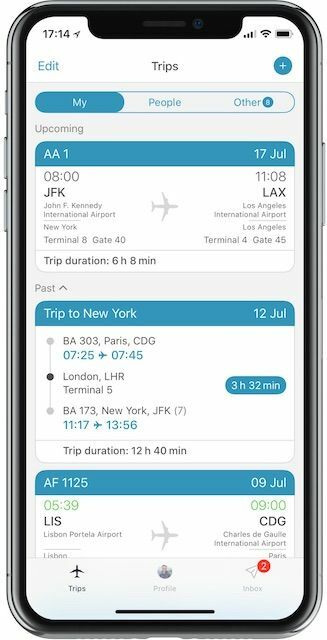 App in the Air puts all relevant travel information at the user’s fingertips, from airport and flight updates to itineraries to mileage points. Using App in the Air, travelers can find crowdsourced, real-time updates on TSA security line wait times at any airport, making it one of the most efficient ways to determine how long the TSA lines really are before your arrival — because the only thing worse than a delay at the airport is missing your flight due to circumstances that could’ve been prevented. Having real-time, personally-updated information about the current status of the TSA security lines at your departure airport can prove invaluable if it turns out you’ll need no less than three hours to make it through to the boarding area. 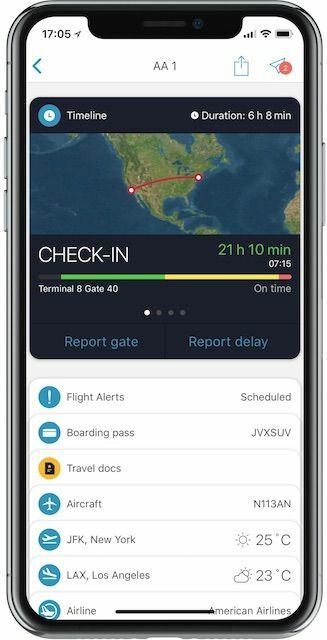 The app also provides helpful travel information such as airport maps, delay updates, flight alerts, check-in wait times, and ensuring that any luggage meets the dimensions of each airline’s standards, all in order to avoid bad news at the gate and a higher potential for lost luggage. App in the Air users can also track their boarding and landing times — change as they may — through the app. Of course, a flight delay isn’t a flight delay without a good deal of group moaning and groaning at the gate. To get your virtual whining quota in (were you even delayed if you didn’t post about it on your Instagram Story? ), you can simply log on to App in the Air — the app also functions as a social platform, where travelers can message each other about the current situation at any and every airport. Misery does love company. For the more upbeat, the social function of App in the Air serves as a receptacle for airport tips and insider knowledge, such as which coffee shops are open at 4:00 AM, where you can find an outlet to charge your phone, and which areas of the airport offer the speediest Wi-Fi for free. You can connect with people nearby who are booked on the same flight as you, which could come in handy if you want to share a taxi into the city or chat over coffee while you wait. After your flight, App in the Air provides a place to submit feedback about the airport and your specific flight. Plus, if you’re eligible for compensation for your delay, App in the Air will let you know. Don’t delete your App in the Air app once the government shutdown is finally over. The app is designed for frequent fliers and makes it easy to juggle multiple itineraries and rewards programs. It covers all phases of the post-booking travel process by keeping track of boarding passes and all itineraries (past, present, and future). 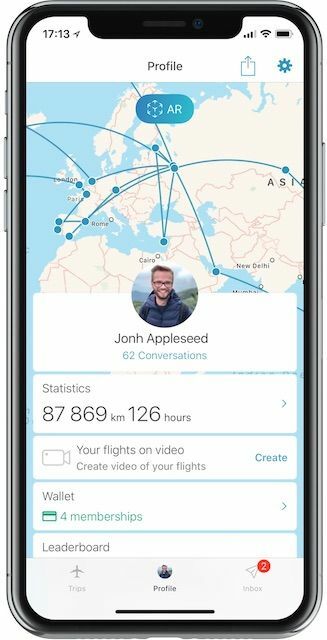 App in the Air also provides its users with an augmented reality map of their previous and upcoming trips, with the option to see their flight paths as a 2D interactive map or 3D globe. Bragging rights earned. Best of all, App in the Air makes traveling into a gamified competition of sorts. As they fly, users accumulate points for each destination they visit and compete for a spot on a worldwide leaderboard, earning badges for new countries and other travel “achievements” along the way, such as visiting the same airport five times or traveling equivalent to the distance of the equator. App in the Air is available as a free version or a premium version for $29.99 per year. Premium perks include upgraded features such as real-time flight status, offline access, family notifications, and automatic check-ins.